I would like to express my deepest thanks to all crew members and staffs of Fei wedding, for their contributions on my pre wedding photo shooting. All the photos taken are of excellent quality and we are very satisfied with the services we received. We had been searching for pre wedding photography companies on forums and accidentally saw the photos of Secret Place Studio, which caught my attention immediately. As I am interested in Korean style of pre wedding photography, the Secret Place Studio exactly matches my expectation regarding of the furniture decorations and lighting effects. 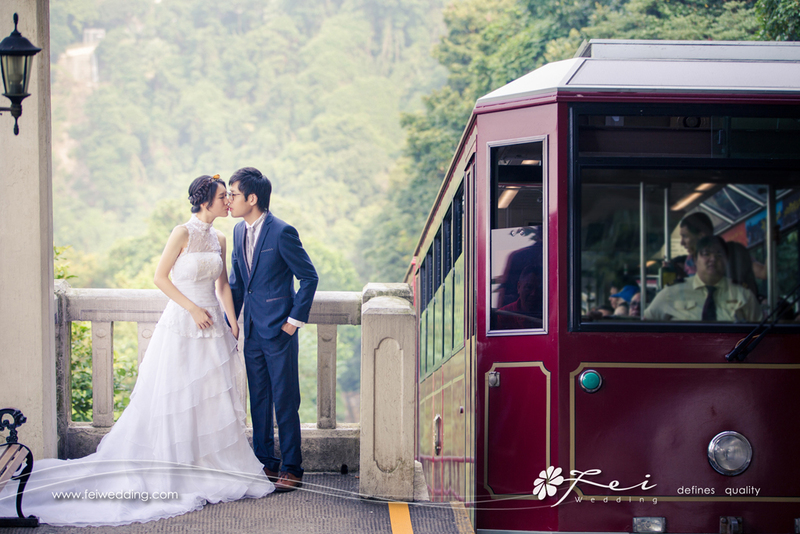 Due to the limitations of annual leaves and budget, we did not plan to take pre wedding photo in Korea or overseas, hence the Secret Place Studio is definitely a fantastic choice to fulfill our Korean stylish demand. It was surprised to find that we can select three indoor studio scenes from the Secret Place Studio package, so apart from Korean type, we also took some British style photos. My makeup assistant is very professional and at the same time caring. Thanks for her, my makeup and hairstyle were astonishing and I really want to show my appreciation to her again. During the two hours of makeup process, she always asked about my feelings and tried her best to make me the prettiest. When we were taking photos in Central at night, not only did she help me to carry my jacket, also she kept reminding me to wear the jacket and not to get cold. 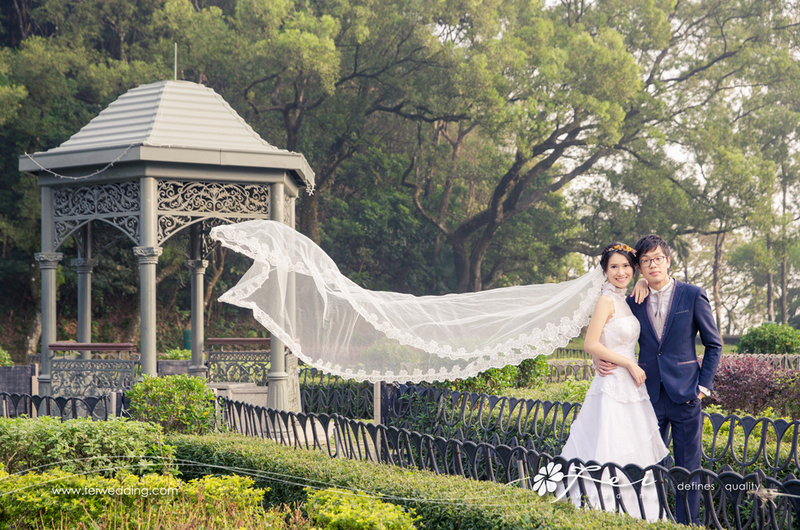 Our photographer is very experienced and proficient. He instructed us how to pose when we were standing straightly and embarrassed. He also captured the most spectacular view of the Peak Garden as well as the Ferris wheel at Central. Last but not least, the assistant was brilliant too. He is funny and he is capable to make everyone relaxed, comfortable and laugh during the photo taking. 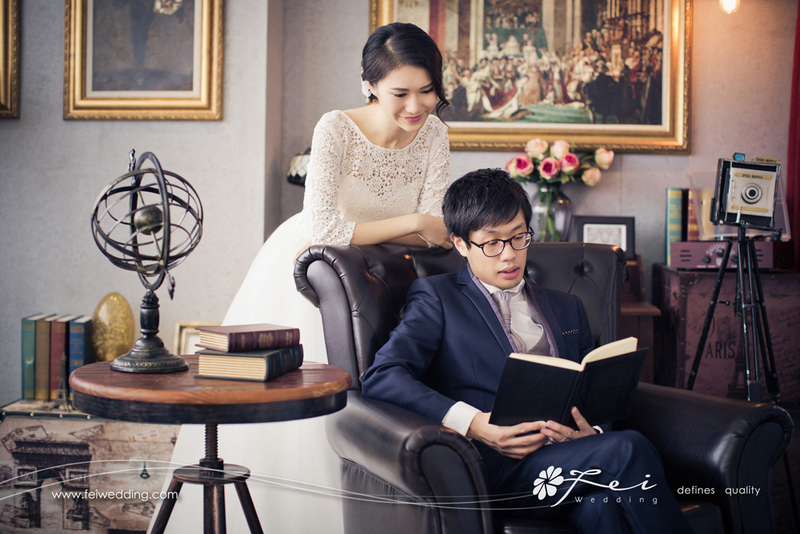 Thank you Fei wedding, it was an unforgettable experience and I will strongly recommend to all brides-to-be.